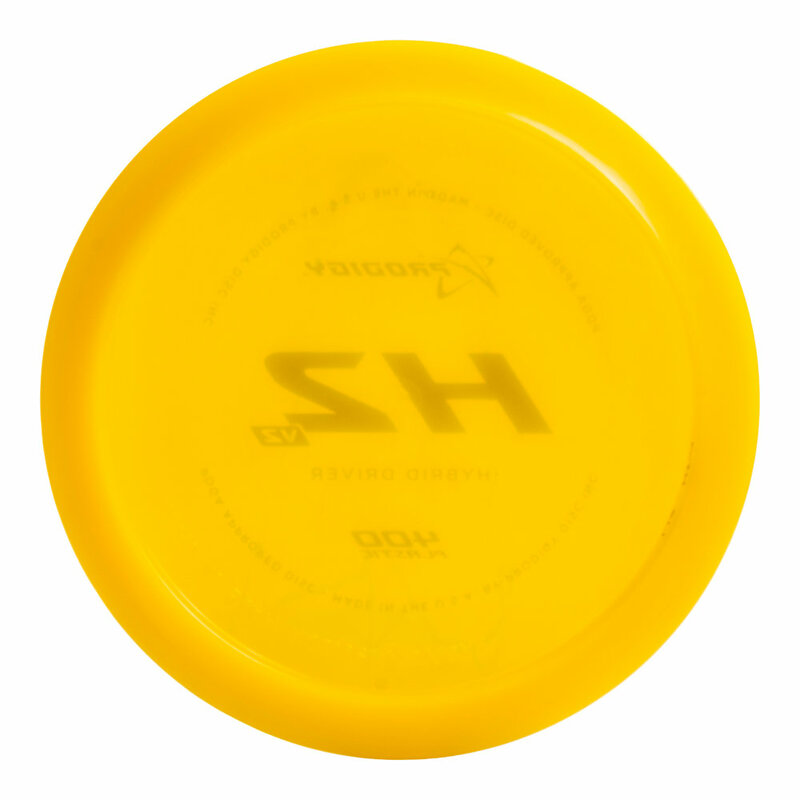 The Prodigy Disc H2 V2 is a re-engineered, slightly overstable, fast flying Hybrid Driver. The H2 V2 provides fine-tuned controllable distance with a predictable fade. Built upon the original design of the H2, the H2 V2 features a shallower rim and modified “nose”, offering a more comfortable grip as well as increased speed and glide over its predecessor. Backhand and forehand throwers can tackle winds and consistently land their drives with accuracy.